Sometimes we really don't know where life will lead us. Sure, at some point in our young lives we make plans for the future: set up time tables for when we're supposed to get married and have children, how far and what year we're supposed to have progressed in our careers. Today, the unplanned is not a welcome thing. "I became a photographer by accident," Dominic Barrios said as he recalled the beginning of his photography career. Mr. Barrios actually graduated with an Engineering degree from De La Salle University. Moreover, he had already passed the bar exam and become a licensed engineer. As he was waiting for employers to get back to him after applications and interviews, he decided to volunteer at Gawad Kalinga as a mentor/teacher for pre-school kids. Instead of entering career related to his undergraduate field, however, he stayed with Gawad Kalinga for three years. One problem arose: he wanted to a job that would be as fulfilling as his work in Gawad Kalinga but would be able to put food on the table. However, returning to engineering didn't appeal to him. As he was weighing his options, he was one day put in charge of documentation and got hold of a camera. He enjoyed it so much that he began taking lessons to learn more about photography. Later, in 2007, he signed up for a photography apprenticeship with Imagine Nation Studio. By the year 2011, he had decided to branch out and make his own name in the photography business. Mr. Dominic Barrios, owner of Dominic Barrios Photography, has no regrets about turning his back from becoming an engineer and has embraced his place amongst the best wedding photographers. He also still volunteers for Gawad Kalinga—but now as a professional photographer, not a teacher. 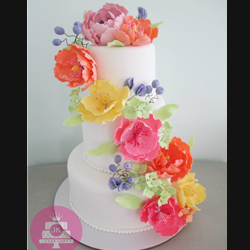 "Beautiful, classic, natural. I want my pictures to be considered art." Mr. Barrios shares that even though capturing light and shadow in a picture is the most difficult thing about photography, it is also the most important. Dominic Barrios takes beautiful outdoor shots and prefers the use of natural light. As long as there is a little light, even in a dark room, he is able to take wonderful pictures. Of course, he can't do the impossible—if it isn't possible to take a nice picture in a poorly lit place, then he'll take out the heavy lighting equipment. The bottom line is that Dominic Barrios would like to keep the picture as natural as possible. He and his team applies little to no editing on their client's wedding photographs. 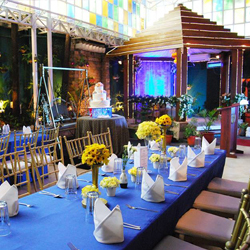 Moreover, Mr. Barrios believes it's really not only about spending money when it comes to weddings. Dominic Barrios doesn't want to rely on just state-of-the-art equipment; he also wants to make sure that he is able to capture the love, laughs, and life shared between a newlywed or to-be-wed couple. He wants his work to "transcend time, so that when couples look at their picture 10, 20, 50 years from now—they'll be reminded of how blessed they are to have made it down the long road of life and marriage together." As a young wedding photographer, Dominic Barrios understands not only the latest technology for taking beautiful pictures, but ways to preserve your pictures for generations to come. In light of this, in all his wedding packages, he includes an A4 size portrait of a picture of your choice in Fine/Museum Art etching paper and a mobile album of all the pictures taken during the shoot. As with the paintings on exhibit; the canvas is as important as the medium. There is a difference between a watercolor painting done on bond paper and one done on proper watercolor paper. The same goes for photos done by Dominic Barrios Photography. The texture and feel of the Fine/Museum Art etching paper really brings out the best contrast and color in his work. These portraits can be set-up in your living room or breakfast nook for your guests to see. Of course, in this day and age you are also likely to have smart phones, tablets, and other mobile devices. 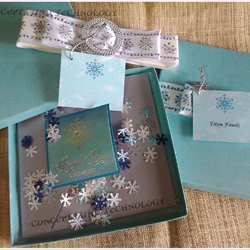 Instead of lugging a photo album around, you can take your wedding photos with you. Dominic Barrios also gives out an application you can download to access all your wedding and engagement pictures in a mobile wedding album, to show your friends and family your wedding and e-session pictures anytime and anywhere with a few easy swipes. Dominic Barrios is hands-on and friendly with all his clients. His philosophy as a professional wedding photographer is not only to take great pictures, but to create lasting connections with other people— to learn about your love story and capture it on film. To help couples get ready for their e-sessions or engagement sessions, he also has a stylist to help coordinate clothes and make-up for the couple. 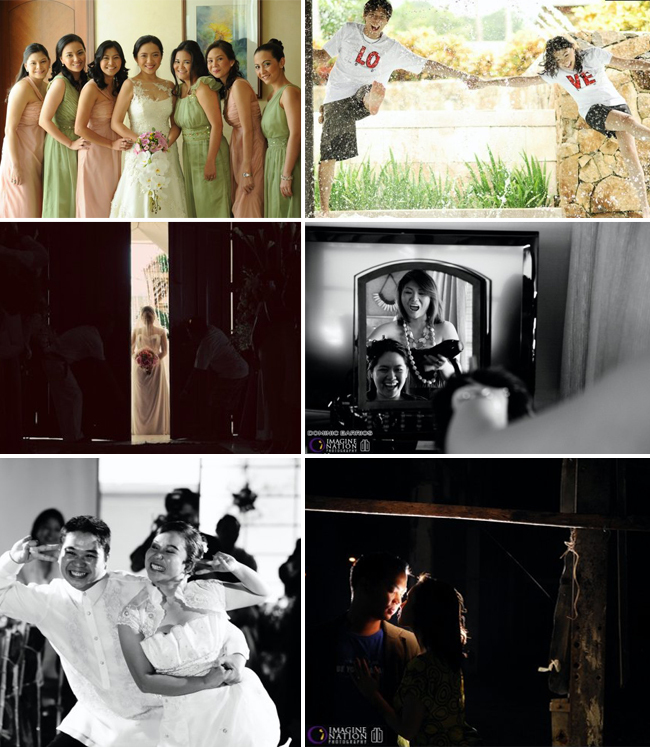 He also travels to other places (either on his own or with his team) to be able to capture your wedding or prenup session anywhere in the world. 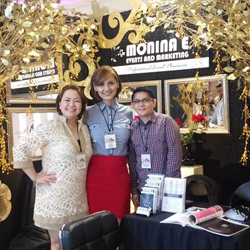 Till now, he has many clients whom he can count as friends and lasting connections. He advises that before you employ a photographer you should make sure that you are comfortable having your picture taken by them—"make sure that you've met a photographer whom you can trust to capture intimate moments between you and your future husband/wife." 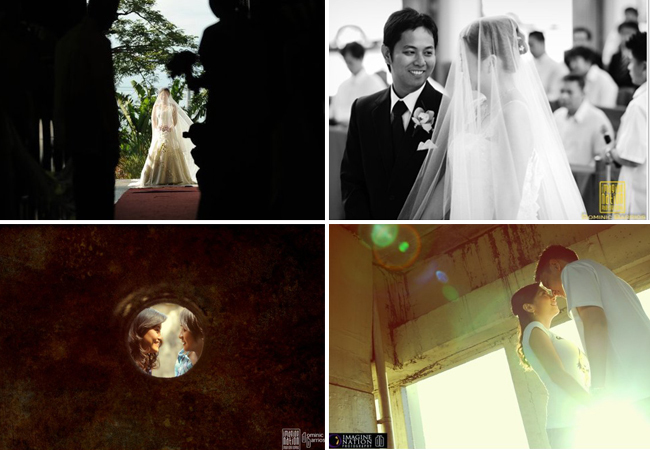 Want to hire Dominic Barrios Photography, Cainta-based wedding photographer for your wedding or e-session? Look at his kasal.com profile to know more about his rates and packages.